There are many conservation organisations all over the world, each one of them having their own goals, visions and methods. Even the projects founded by the Future For Nature Award (FFN Award) winners are very different from each other. Not only in location (FFN Award winners are spread all over the world), but also in what they are trying to accomplish. All these projects have only one thing in common: their founders have all won the Future For Nature Award. That’s all. Besides that, they are all very different from each other. And that’s exactly what I like about it. 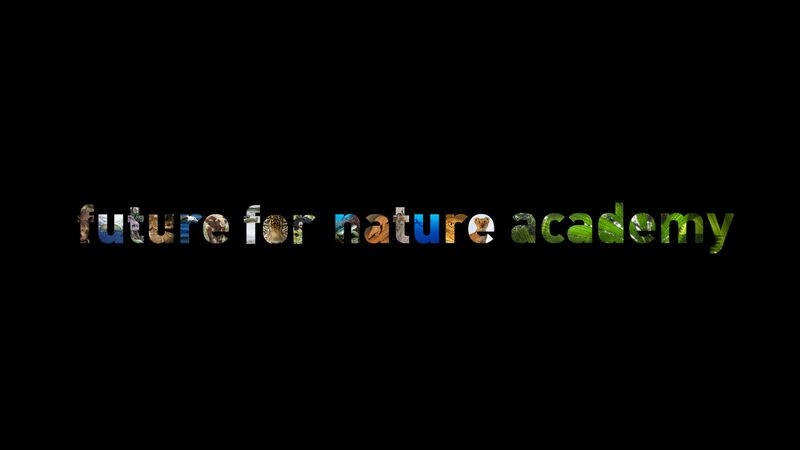 By visiting five of these organisations, I’m able to show you a variety of ways of how you can protect nature. Patricia Davis won the award back in 2012. At that time, Patricia worked on Madagascar to invest her time and energy into her big passion: tropical marine conservation. On Madagascar, the organisation she has co-founded a few years before, Community Centred Conservation (C3), bridges the gap between traditional knowledge and scientific research, to protect the dugong and its habitat. This approach turned out to be successful and with the 50.000 euros she received, Patricia expanded her work. C3 is now also located in Fiji and the Philippines, countries that house a relatively large number of dugongs. At my first stop, I will pay a visit to C3 on the Philippines to witness how community involvement is benefiting both human and dugong life. Off to Indonesia then, more specifically the Leuser ecosystem in North-Sumatra. The last place on earth where elephants, rhinos, orangutans and tigers still roam together in the wild. It’s also the place where Rudi Putra (FFN award in 2013) and Farwiza Farhan (FFN award in 2017) and their organisations are based to protect this precious ecosystem. And protection is definitely needed. Poaching, illegal logging, mining, the establishment of palm oil plantations, land degradation: all these threats are affecting not only one of the most important biodiversity hotspots worldwide, but also the livelihoods of millions of local people. Rudi and Farwiza and their teams combat these threats in their own way, often working together and complementing each other. I think I am most excited to show you Leuser. Hopefully I get to encounter (and photograph) some of the iconic species living here, but a lot of the attention will also be paid to the pressure the ecosystem is feeling right now. Thai Van Nguyen, winner of the 2016 FFN Award, has dedicated his life to the protection of the cutest animal I will encounter during this trip: the pangolin. This little mammal has the questionable honour of defeating the rhino and elephant as being the most trafficked animal in the world. Its scales are made of keratin and are widely used in the production of traditional medicines in Asia. Over the last few years, Save Vietnam’s Wildlife, founded by Thai, has become the major player in Vietnam in the protection of pangolins. Through education, habitat protection, conservation research and rescuing and rehabilitating wildlife, SVW tries to make sure future generations can enjoy this unique and important species as well. As part of my journey, I will stay at SVW’s wildlife rescue centre in Cuc Phuong National Park. During my stay, I will assist in the daily care of the pangolins and other mammals that are living in the centre. The final stop of my journey will also be my first. The only Future For Nature award winner operating in the Netherlands lives only a one-hour train ride away from my home. For many years now, Wietse van der Werf has used the power of citizens to protect the sea. In 2016 he received the Future For Nature Award for his effort. After already having started initiatives in the air and on land, Wietse’s newest organisation involves rangers that are full-time located offshore. This Sea Ranger Service has only been founded 2 years ago and this year will be the first time that the rangers are on sea. This’ll be pretty exciting for Wietse and his team, but for me it is also a great opportunity to show you the development of this interesting initiative. Therefore, I’m joining the sea rangers not once, but twice: one time before I’m leaving to the Philippines and the other time when I’ll be back in the Netherlands. Community-based conservation, protecting a major biodiversity hotspot, combating wildlife crime or training sea rangers: as you can see, there is a wide variety of ways to preserve and protect the natural world around us. The coming 3 months I’m trying to capture all these different aspects and share them with you. In a few days I will visit the Sea Ranger Service for the first time. This is going to be my first official visit to one of the Future For Nature award winners and you can understand that I’m pretty excited about that. Next week you’ll see what I have seen and done over there. Sea ya!